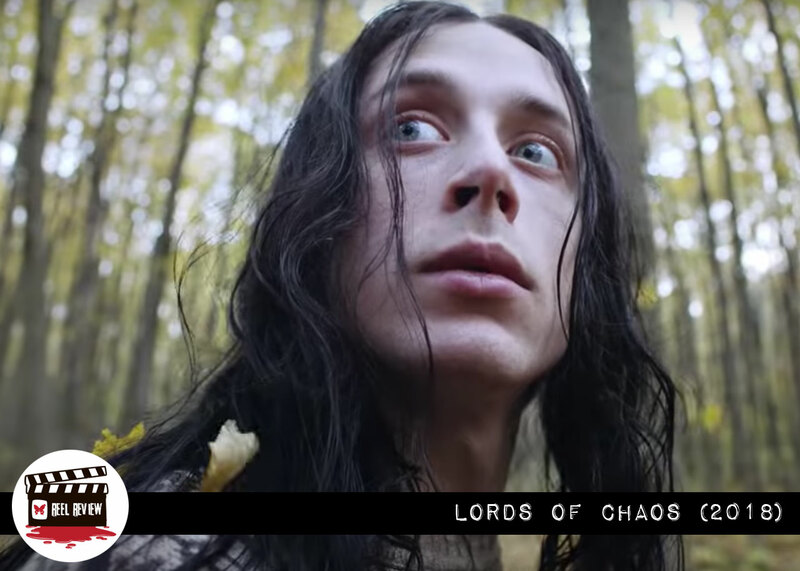 “Lords of Chaos” explores the unbelievably true story of the infamous rise and tragic fall of the Norwegien black metal band Mayhem. Swedish director Jonas Åkerlund rose to fame as a director of music videos and concert films, collaborating with some of the biggest bands of all time. He also performed a brief stint as the drummer for the Swedish extreme metal band Bathory in the early eighties. Thus, it’s hard to imagine a filmmaker better suited for adapting Moynihan and Didrik Søderlind’s book “Lords of Chaos”, which chronicles the shocking true story of the band Mayhem and the beginning of Black Metal in Norway. Co-founded by Oslo teenager Øystein Aarseth, a.k.a. Euronymous (Rory Culkin), Mayhem became infamous for decades due to the band’s penchant for living up to its name — wreaking more mayhem off stage than on and leaving a trail of tragedy in its wake. 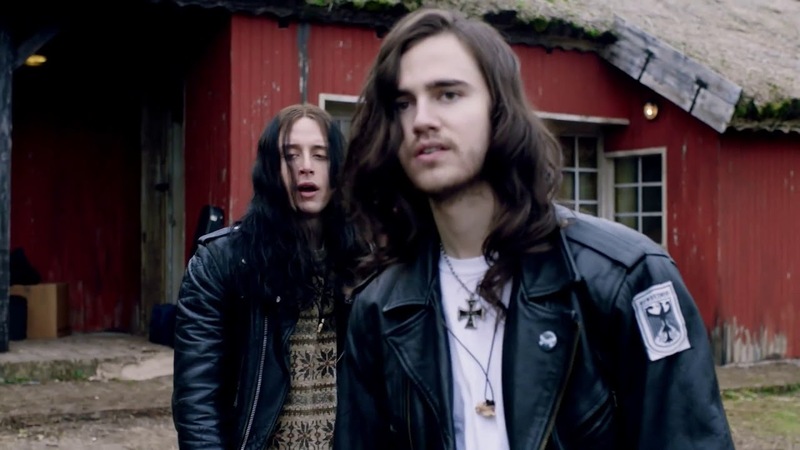 Lords of Chaos opens with Euronymous, the film’s narrator, introducing the audience to his perfectly quaint, middle class suburban home. He explains that, though he may look like an ordinary teenager, he most assuredly is not. In fact, he implores that he was “brought into this world to create suffering, chaos, and death.” But it’s easy to dismiss that as typical teen angst and bravado, a desire to be special and memorable…anything but ordinary. Right away he warns that what you’re about to see is his story, and “it will not end well.” But the disarmingly light-hearted tone of the first 20 minutes makes it hard to foreshadow the dark cloud that’s about the rain down on the rebellious youth. In fact, much of Lords of Chaos is about make believe. It’s about people so desperate to escape who they are and where they come from that they build fake worlds and construct fake personas. Euronymous preaches about authenticity and rails against poseurs, but deep down he knows he’s the ultimate poseur — nothing more than a well packaged product with great marketing. As a result, Euronymous — and vicariously, the viewer — is consistently blindsided by his encounters with people who aren’t faking it. We get our first bitter taste of this early in the film when we meet the band’s new, angel-faced lead singer (Jack Kilmer). He calls himself Dead, and he is, in fact, obsessed with death. He has a morbid fascination with dead animals. He claims bullies once beat him so badly he momentarily died. He talks about wanting to die constantly. He slices his arms open on stage and bleeds out into the crowd of fans who can’t get enough. To Euronymous, his bandmates and their increasingly growing fandom, it all seems so gloriously “metal”. But Dead isn’t faking his crippling depression or obsession with wanting to die. And one night, while home alone, he takes a knife to both his wrists and slices across his jugular. He then scribbles out such a nonchalant suicide note, reflecting how little he ever felt truly a part of the world, before putting a shotgun to his head and pulling the trigger. It’s a grisly and painfully drawn out scene, with Åkerlund refusing to gloss over the heart-wrenching tragedy. He lets the camera linger over the blood and brain matter, not out of desire to shock or sensationalize, but rather to emphasize the magnitude of loss and suffering. It’s Euronymous who discovers the horrific scene the next morning. But this confrontation with beastly reality only serves to push him further into fantasy. At this point, he fully embraces his dark persona, attempting to capitalize on the death of his friend by using it to enhance the mythos of his band. Instead of calling the cops when he first finds the body, he goes to the store to purchase a disposable camera, snapping photos of the gruesome scene — photos he can use on their next album cover. He turns pieces of his friend’s skull into necklaces for his bandmates. It’s too much for one of the bandmates, who immediately quits the band. For the others, there’s an unspoken acknowledgement that they’re making a metaphorical pact with the devil. Much to his dismay, Euronymous is not the devil. But he’s about to meet him. He first meets Christian (Emory Cohen), a somewhat awkward and unassuming fan of the band, at a post-show dinner. When Christian expresses his appreciation of Mayhem, Euronymous dismisses him and makes fun of the Scorpions patch on his jacket. The two later cross paths again when Christian (now calling himself Varg) shows up at the record store Euronymous opened (with his dad’s money) following Dead’s suicide. This time, Christian passes along his demo tape from his one-man band Burzum. It’s surprisingly impressive. Before long, Varg is cutting a record with Euronymous’ label and is welcomed into his inner circle. But, while Euronymous is all talk, Varg is about action. When Euronymous casually complains about the influence of the Church and their brainwashing campaign to spread kindness and goodness, suggesting they burn all the churches down, Varg takes it as gospel — wasting no time proving he’s a poseur no more. This begins the band’s legacy of violence, burned churches, and murder that would forever change Norway and musical history. But Åkerlund and screenwriter Dennis Magnusson are more interested in the men behind the influential music — exploring the motives for and the real human emotions behind the infamous crimes. As dark as the subject matter sometimes gets, this isn’t a film that celebrates destruction. It’s about the characters and their relationships. And the filmmakers are careful to neither demonize nor lionize these lost kids searching for identity, while making life-changing mistakes. Both Culkin and Cohen deliver outstanding performances as two talented but tragically flawed young men —struggling to at once fit in and stand out — as they journey down a destructive and ultimately cataclysmic path. Åkerlund and Magnusson deserve considerable praise for bringing such a sensational story to the screen with equal parts humor, humanity and heartbreak. 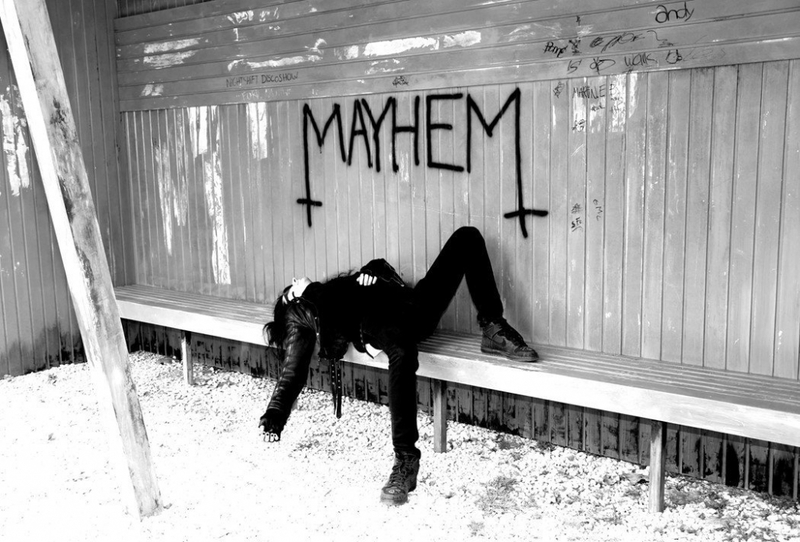 Rather than mere caricatures of the men behind the mayhem, Lords of Chaos offers us fully fleshed out, complex characters. Remarkably, this allows us to both escape into the fantasy — enjoying what is often an incredibly fun film — and feel the full, agonizing impact of reality when it comes crashing down around us. Lords of Chaos arrived in theaters on February 8th and will be available on demand from Gunpowder & Sky on February 22nd. Learn more and purchase tickets at https://www.lordsofchaosfilm.com/.